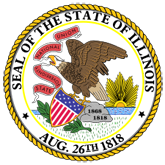 This publication consists of agreements between the State of Illinois acting through the Illinois State Board of Education with each of the following: A Hand Up Recovery Homes N.F.P. ABJ Community Services, Inc. ACTS Foundation Training Agape Youth Network Albany Park Community Center Albany Park Neighborhood Council Alden-Hebron Community Consolidated School District 19 Allison United Foundation For Better Living Alpha Kappa Alpha Ivy Reading AKAdemy Ameri-Can-West Archer Courts-Service Coordinators Arthur Lockhart Resource Institute Austin Chamber of Commerce Austin YMCA Benton House Bethel New Life Bethel New Life, Inc. Better Life For Youth Better Life for Youth, Inc. Big Buddies Big Buddies Youth Services, Inc. Boulevard Arts Center Boys and Girl's Club of Lake County Boys to Men Broadview Youth Baseball CCA-Academy Celestial Ministries Centers for New Horizon Centro Romero Chetwyn Rogers Development Committee Chicago Area Projects Chicago Military Academy-Bronzeville Chicago Park District (Riis Park) Chicago Public Schools (Aspira - Antonia Pantoja) Chicago Public Schools (Aspira - Mirtas Ramirez) Chicago Public Schools (Avondale Elementary) Chicago Public Schools (Barry Elementary) Chicago Public Schools (Beethoven School) Chicago Public Schools (Belmont-Craig Community Area Elementary) Chicago Public Schools (Boone) Chicago Public Schools (Brentano Math and Science Academy) Chicago Public Schools (Burbank Elementary) Chicago Public Schools (Chase Elementary) Chicago Public Schools (Chicago High School for Agricultural Sciences) Chicago Public Schools (Clinton Branch) Chicago Public Schools (Clinton) Chicago Public Schools (Curtis Elementary) Chicago Public Schools (Darwin Elementary) Chicago Public Schools (Decatur Classical) Chicago Public Schools (Dunne Elementary) Chicago Public Schools (Durkin Park) Chicago Public Schools (Falconer Elementary) Chicago Public Schools (George B. Armstrong) Chicago Public Schools (Goethe Elementary) Chicago Public Schools (Julian High) Chicago Public Schools (Kelvyn Park High) Chicago Public Schools (Kipling) Chicago Public Schools (Logandale) Chicago Public Schools (Mary Lyons Elementary) Chicago Public Schools (Monroe Elementary) Chicago Public Schools (Morgan Park High) Chicago Public Schools (Mozart Elementary) Chicago Public Schools (Nixon Elementary) Chicago Public Schools (Noble Street Charter) Chicago Public Schools (Parkside Community Academy) Chicago Public Schools (Percy Julian Middle) Chicago Public Schools (Powell) Chicago Public Schools (Prosser Vocational High) Chicago Public Schools (Rogers) Chicago Public Schools (Schubert Elementary) Chicago Public Schools (South Chicago Community Area Elementary) Chicago Public Schools (Stone Scholastic Academy) Chicago Public Schools (Sullivan) Chicago Public Schools (Tilden High) Chicago Public Schools (Yates Elementary) Chicago Youth Center Chicago Youth Program-Outreach Program Coalition for Improved Education in South Shore Coalition to Improve Education in South Shore Community Action Council Community Action Council Community Action Partnership of Lake County Community Fellowship M.B. Church Country Club Hills School District 160 Divine Praise East Prairie Skokie School District 73 East Side Chamber of Commerce Edgewater Community Council, Inc. El Hogar del Nino Fairview School District 72 Faith Lutheran High School Family Focus Fellowship House Friends of Dodge Friends of Drummund School Friends of Tilton Park Future Foundation General Robert E. Woods Boys and Girls Girl Scouts- IL Crosswords Council Global Girls Incorporated Gloria Taylor Foundation-Teen Talk Program Greater St. John Center of Hope Greater St. John Holiness Harrison School District 36 Harvard Community Unit Schools District 50 Hegewisch Community Committee Heritage International Christian Church Holy Cross Immaculate Heart of Mary Church (After School) Home of Life Community Development Corporation Howard Area Community Center Inspirational Deliverance Center Inspituto del Progresso Latino Interfaith Leadership Project Introspect Youth Services Introspect Youth Services Iron Oaks Environmental Learning Center Johnsburg Community Unit Schools District 12 Korean American Community Center La Causa Community Committee Lakeside Community Committee-Teen Reach Leo High School Life Directions Peer Mentor Program Lincolnwood Parks and Recreation Department Lincolnwood School District 74 Litchfield Community School District "Make it" Local Motions Logan Square Neighborhood Association Love Foundation Mad Dads Marengo Community High School 154 Marengo-Union Elementary District 165 Marian Central Catholic High School Marshall Place Community Center Maywood Fine Arts Association Maywood Youth Mentoring Program, Inc. McHenry Community Consolidated District 15 McHenry Community High School District 156 Metropolitan Family Services Miracle Center Performing Arts Montini Catholic School Morton Grove Park District Morton Grove School District 70 Near North Development Corp. Young Scholars Program Near Northwest Civic Committee NICASA Niles Township High School District 219 Nippersink School District 2 North Lawndale Little League North River Commission Northwest Austin Council Northwest Austin Council Northwest Neighborhood Federation Oak Lawn High School One Lord One Faith Missionary Baptist Church Our Lady of Good Counsel Park Manor Neighbors Community Council Passages- New Covenant Church Phoenix Program Pilsen Athletic Conference Project Butterfly Project Hope Puerto Rican Art Alliance Puerto Rican Cultural Center Rhema Word Richmond-Burton Community High School 157 Riley Community Consolidated Schools 18 Rock Island Milan School District 41 (Classrooms Cubed) Ruiz Belvis S.O.W. Youth Outreach Saint Mary Catholic School Seeds of Hope Community Center Service Employment Redevelopment (SER) Skokie Park District Skokie School District 69 Skokie School District 73 1/2 South Suburban Area Project-Blue Island Delinquency South Suburban YMCA Special Education District of McHenry County St. Agatha's Family Empowerment (SAFE) of St. Agatha's Parish St. Columbanus Church St. Edmunds Redevelopment Corp. St. John the Baptist Catholic School St. Joseph's Catholic School St. Luke COGIC St. Pius V Sunshine Gospel Ministries Equipment Swift Mansion Teacher Emeritus Corps Teen Reach Teen Reach Program-Belleville Trinity Planning Development Truancy Program Truth and Deliverance Christian Computer Lab Ultimate Goal Ministry Umoja Corporation Union Avenue Community Outreach Union League Boys and Girls Club University of Illinois at Chicago Early Outreach Valentine Boys and Girls Club Village of Calumet Park Village of Hazel Crest Village of Matteson Village of Park Forest Village of Richton Park Voices of Community Ministerial Association West Englewood United Organization Westside Health Authority Whitney Young Alumni Association Women's Resource Assistance Program Woodlawn East Community and Neighbors Woodstock Community District 200 Youth Advancement Foundation Youth Conservation Corporation Inc. Youth in Crisis Youth Organizations Umbrella, Inc. Zion Lutheran School These agreements award grants for after school care; social service programming; extracurricular programming; alternative education; summer programs; summer activities; an outreach center; substance abuse prevention; violence prevention; life skill education; homework assistance and a delinquency prevention program. 1. St. Joseph's Catholic School (stjoseph.pdf). 2. Greater St. John Holiness (greaterholiness.pdf). 3. East Prairie Skokie School District 73 (eastprairie.pdf). 4. Better Life for Youth, Inc. (better2.pdf). 6. Woodlawn East Community and Neighbors (woodlawn.pdf). 7. Youth Advancement Foundation (youthadvance.pdf). 8. Chicago Public Schools (Curtis Elementary) (chicagopubcurtis.pdf). 9. Community Action Council (communityactioncoun2.pdf). 10. El Hogar del Nino (elhogar.pdf). 11. Introspect Youth Services (introspect1.pdf). 12. Instituto del Progresso Latino (inspituto.pdf). 13. Chicago Public Schools (Mozart Elementary) (chicagopubmozart.pdf). 14. Chetwyn Rogers Developoment (chetwyn.pdf). 15. Northwest Austin Council (naustin2.pdf). 16. Chicago Public Schools (Nixon Elementary) (chicagopubnixon.pdf). 17. Boulevard Arts Center (boulevard.pdf). 18. Chicago Public Schools (Kelvyn Park High) (chicagopubkelvyn.pdf). 19. Voices of Community Ministerial Association (voices.pdf). 20. Passages--New Covenant Church (passages.pdf). 21. Chicago Public Schools (Darwin Elementary) (chicagopubdarwin.pdf). 22. Skokie Park District (skokiepark.pdf). 23. Chicago Public Schools (Julian High) (chicagopubjulian.pdf). 24. Chicago Public Schools (Beethoven School) (chicagopubbeethoven.pdf). 25. Chicago Park District (Riis Park) (chicagopark.pdf). 26. Puerto Rican Art Alliance (puertoart.pdf). 27. McHenry Community Consolidated District 15 (mchenry15.pdf). 28. Union League Boys and Girls Club (unionleague.pdf). 29. Youth Conservation Corporation Inc. (youthconserv.pdf). 31. Inspirational Deliverance Center (inspirational.pdf). 32. Chicago Public Schools (Mary Lyons Elementary) (chicagopubmarylyons.pdf). 33. Chicago Public Schools (Durkin Park) (chicagopubdurkin.pdf). 34. West Englewood United Organization (westengle.pdf). 35. S.O.W. Youth Outreach (sow.pdf). 39. Chicago Public Schools (Schubert Elementary) (chicagopubschubert.pdf). 42. St. Agatha's Family Empowerment (SAFE) of St. Agatha's Parish (stagatha.pdf). 43. Holy Cross Immaculate Heart of Mary Church (After School) (holycross.pdf). 44. Chicago Public Schools (Powell) (chicagopubpowell.pdf). 46. Austin Chamber of Commerce (austinchamber.pdf). 47. Heritage International Christian Church (heritage.pdf). 48. St. Edmunds Redevelopment Corp. (stedmunds.pdf). 49. Rock Island Milan School District 41 (Classrooms Cubed) (rockisland.pdf). 50. Introspect Youth Services (introspect2.pdf). 51. Chicago Public Schools (Goethe Elementary) (chicagopubgoethe.pdf). 52. Chicago Public Schools (Logandale) (chicagopublogandale.pdf). 53. Nippersink School District 2 (nippersink.pdf). 54. Logan Square Neighborhood Association (logan.pdf). 55. Albany Park Community Center (albany.pdf). 56. Zion Lutheran School (zion.pdf). 57. South Suburban Area Project-Blue Island Delinquency (ssubbi.pdf). 58. Chicago Public Schools ( Sullivan) (chicagopuvbsullivan.pdf). 59. Coalition for Improved Education in South Shore (coalitionsouth1.pdf). 60. Chicago Public Schools (Noble Street Charter) (chicagopubnoble.pdf). 61. Marengo Community High School 154 (marengohs.pdf). 62. Youth Organizations Umbrella (youthorgs.pdf). 63. Teacher Emeritus Corps (teacher.pdf). 64. Chicago Public Schools (Falconer Elementary) (chicagopubfalconer.pdf). 65. Better Life For Youth (better1.pdf). 66. Lincolnwood School District 74 (lincolnwoodschool.pdf). 67. Chicago Public Schools (Dunne Elementary) (chicagopubdunne.pdf). 68. Chicago Public Schools (Parkside Community Academy) (chicagopubparkside.pdf). 69. Boys and Girls Club of Lake County (boyslakeco.pdf). 70. Chicago Public Schools (George B. Armstrong) (chicagopubgeorge.pdf). 71. Skokie School District 69 (skokie69.pdf). 72. ACTS Foundation Training (actsfound.pdf). 74. Village of Calumet Park (villagecalumetpark.pdf). 75. Near North Development Corp. Young Scholars Program (nnorthdev.pdf). 77. Westside Health Authority (westsidehealth.pdf). 78. Teen Reach Program--Belleville (teenbelleville.pdf). 79. Harrison School District 36 (harrison.pdf). 80. Chicago Public Schools (Clinton) (chicagopubclinton2.pdf). 82. Friends of Drummund School (friendsdrummund.pdf). 84. Korean American Community Center (korean.pdf). 85. Skokie School District 73 1/2 (skokie73.pdf). 86. Chicago Public Schools (Burbank Elementary) (chicagopubburbank.pdf). 87. Chicago Youth Program--Outreach Program (chicagoyouthprogram.pdf). 88. Chicago Public Schools (Rogers) (chicagopubrogers.pdf). 89. Fairview School District 72 (fairview.pdf). 90. Allison United Foundation For Better Living (allison.pdf). 91. Village of Matteson (villagematteson.pdf). 92. Howard Area Community Center (howardarea.pdf). 94. Niles Township High School District 219 (niles.pdf). 95. Johnsburg Community Unit Schools District 12 (johnsburg.pdf). 96. Saint Mary Catholic School (stmary.pdf). 97. Gloria Taylor Foundation --Teen Talk Program (gloria.pdf). 98. Hegewisch Community Committee (hegewisch.pdf). 99. University of Illinois at Chicago Early Outreach (uofi.pdf). 101. Seeds of Hope Community Center (seeds.pdf). 102. Village of Park Forest (villageparkforest.pdf). 103. General Robert E. Woods Boys and Girls (generalwoods.pdf). 104. Oak Lawn High School (oaklawn.pdf). 105. Bethel New Life (bethel1.pdf). 106. Life Directions Peer Mentor Program (lifedirection.pdf). 107. Northwest Austin Council (naustin1.pdf). 108. Alden-Hebron Community Consolidated School District 19 (alden.pdf). 109. Arthur Lockhart Resource Institute (arthur.pdf). 111. Chicago Public Schools (Percy Julian Middle) (chicagopubpercy.pdf). 112. ABJ Community Services, Inc. (abj.pdf). 113. A Hand Up Recovery Homes N.F.P (Aahandup.pdf). 114. Service Employment Redevelopment (SER) (service.pdf). 116. Northwest Neighborhood Federation (nwneighborhood.pdf). 118. Friends of Dodge (friendsdodge.pdf). 119. McHenry Community High School District 156 (mchenry156.pdf). 120. Chicago Public Schools (Aspira-Antonia Pantoja) (chicagopubaspira.pdf). 121. Chicago Public Schools (Clinton Branch) (chicagopubclinton.pdf). 122. La Causa Community Committee (lacausa.pdf). 123. Riley Community Consolidated Schools 18 (riley.pdf). 124. Edgewater Community Council, Inc. (edgewater.pdf). 125. Iron Oaks Environmental Learning Center (ironoaks.pdf). 126. St. Luke COGIC (stluke.pdf). 129. Community Action Partnership of Lake County (communitylake.pdf). 131. Sunshine Gospel Ministries (sunshine.pdf). 132. Centers for New Horizon (centers.pdf). 133. Truth and Deliverance Christian Computer Lab (truth.pdf). 134. Ultimate Goal Ministry (ultimate.pdf). 135. Agape Youth Network (agape.pdf). 136. Chicago Public Schools (Belmont-Craig Community Area) (chicagopubbelmont.pdf). 137. Village of Richton Park (villagerichtonpark.pdf). 138. Chicago Public Schools (Chase Elementary) (chicagopubchase.pdf). 139. Morton Grove School District 70 (mortonschool.pdf). 140. Chicago Public Schools (Prosser Vocational High) (chicagopubprosser.pdf). 141. Country Club Hills School District 160 (countryclub.pdf). 142. Alpha Kappa Alpha Ivy Reading AKAdemy (alphakappa.pdf). 143. Pilsen Athletic Conference (pilsen.pdf). 144. Chicago Public Schools (Kipling) (chicagopubkipling.pdf). 145. Litchfield Community School District (litchfield.pdf). 146. Women's Resource Assistance Program (womens.pdf). 147. Chicago Public Schools (Decatur Classical) (chicagopubdecatur.pdf). 148. Chicago Public Schools (Monroe Elementary) (chicagopubmonroe.pdf). 149. St. John the Baptist Catholic School (stjohn.pdf). 150. Chicago Public Schools (Barry Elementary) (chicagopubbarry.pdf). 152. Miracle Center Performing Arts (miracle.pdf). 153. Community Action Council (communityactioncoun1.pdf). 154. Metropolitan Family Services (metrofamily.pdf). 155. Village of Hazel Crest (villagehazel.pdf). 156. Home of Life Community Development Corporation (homeoflife.pdf). 157. Chicago Public Schools (Boone) (chicagopubboone.pdf). 158. Greater St. John Center of Hope (greaterhope.pdf). 159. One Lord One Faith Missionary Baptist Church (onelord.pdf). 160. St. Pius V (stpius.pdf). 161. Leo High School (leo.pdf). 162. Union Avenue Community Outreach (unionave.pdf). 163. Youth in Crisis (youthcrisis.pdf). 164. Interfaith Leadership Project (interfaith.pdf). 165. Morton Grove Park District (mortonpark.pdf). 166. Chicago Public Schools (Chicago High School for Agricultural Sciences) (chicagopubchiag.pdf). 167. Big Buddies Youth Services, Inc. (bigbuddies2.pdf). 168. Our Lady of Good Counsel (ourlady.pdf). 169. Bethel New Life, Inc. (bethel2.pdf). 170. St. Columbanus Church (stcolumbanus.pdf). 171. Chicago Military Academy-Bronzeville (chicagomilitary.pdf). 172. Marian Central Catholic High School (marian.pdf). 173. North Lawndale Little League (nlawndale.pdf). 174. Chicago Public Schools (Yates Elementary) (chicagopubyates.pdf). 175. East Side Chamber of Commerce (eastsidechamber.pdf). 176. Woodstock Community District 200 (woodstock.pdf). 177. Chicago Public Schools (Morgan Park High) (chicagopubmorgan.pdf). 178. Chicago Public Schools (Brentano Math and Science Academy) (chicagopubbrentano.pdf). 180. Richmond-Burton Community High School 157 (richmond.pdf). 181. Chicago Public Schools (Avondale Elementary) (chicagopubavondale.pdf). 182. Coalition to Improve Education in South Shore (coalitionsouth2.pdf). 183. Faith Lutheran High School (faithlutheran.pdf). 184. Maywood Fine Arts Association (maywoodarts.pdf). 185. South Suburban YMCA (ssuby.pdf). 186. Broadview Youth Baseball (broadview.pdf). 187. Whitney Young Alumni Association (whitney.pdf). 188. Near Northwest Civic Committee (nnorthwestcivic.pdf). 189. Special Education District of McHenry County (specialed.pdf). 191. Lincolnwood Parks and Recreation Department (lincolnwood.pdf). 192. Community Fellowship M. B. Church (communityfellow.pdf). 193. Marshall Place Community Center (marshall.pdf). 194. Lakeside Community Committee--Teen Reach (lakeside.pdf). 195. Trinity Planning Development (trinity.pdf). 196. Chicago Public Schools (Aspira-Mirtas Ramirez) (chicagopubaspira2.pdf). 197. Valentine Boys and Girls Club (valentine.pdf). 198. Montini Catholic School (montini.pdf). 199. Chicago Area Projects (chicagoarea.pdf). 200. Girl Scouts--IL Crosswords Council (girlscouts.pdf). 201. Archer Courts-Service Coordinators (archer.pdf). 202. Chicago Public Schools (Stone Scholastic Academy) (chicagopubstone.pdf). 203. Albany Park Neighborhood Council (albanyneighborhood.pdf). 204. North River Commission (nriver.pdf). 205. Boys to Men (boys2men.pdf). 206. Harvard Community Unit Schools District 50 (harvard.pdf). 207. Chicago Public Schools (South Chicago Community Area Elementary) (chicagopubsouth.pdf). 208. Chicago Youth Center (chicagoyouthcenter.pdf). 209. Maywood Youth Mentoring Program, Inc. (maywoodyouth.pdf). 211. Chicago Public Schools (Tilden High) (chicagopubtilden.pdf). 212. Park Manor Neighbors Community Council (parkmanor.pdf). 213. Global Girls Incorporated (global.pdf). 214. Friends of Tilton Park (friendstilton.pdf). 216. Puerto Rican Cultural Center (puertoculture.pdf).